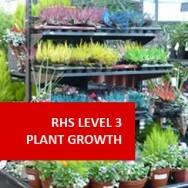 Updated RHS Course Live Now! Oct 23, 2017 We are, once again, an approved RHS learning provider and with new lesson formats, assignments and more extras for our students to enjoy, we hope you love the n.. Your Career in Garden Planning Starts Here! 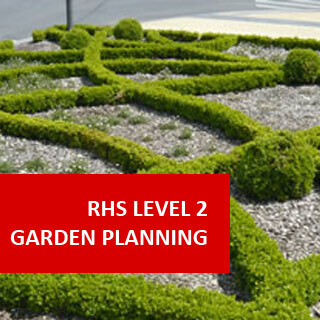 Begin career going in garden design with the online RHS Level 2 Certificate in the Principles of Garden Planning, Establishment and Maintenance and join those who have already become established and proficient in Garden Design and the establishment and maintenance of plants. Through this distance learning program, you can study and prepare for RHS examinations in your own home. Our Home Study Method of learning means that you can learn at a pace you're comfortable with, not one set by a tutor in a classroom. This course is accredited and recognised worldwide and will help you to develop essential horticultural design skills and knowledge, to a level where you will be able to use it to enhance your employment prospects. By successfully completing it, you will gain a solid grounding in the principals required and learn to develop the practical skills required in the implication of these principles. RHS qualifications should be viewed as desirable by anyone wishing to pursue a career in horticulture, because of the respect they command. 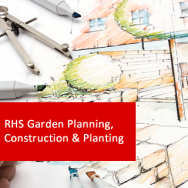 To obtain the RHS Level 2 Certificate in the Principles of Garden Planning, Establishment and Maintenance, you will need to pass four unit exams. These are held by the RHS in February and June every year and there are deadline dates by which you have to apply to take them. Students need to register as an external exam candidate at an RHS Approved Centre, or email: qualifications@rhs.org.uk for details. To help fully prepare you for the exams, there are past test papers readily available. 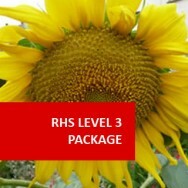 Please note that exam fees are paid to the RHS Centre when booking your seat. The Total Qualification Time (TQT) given for the course is 156. Everyone gets online access to ADL's learning platform and the learning materials, which can be downloaded in a pdf. format to study offline and to print off for making notes and highlighting important information. You can also choose to have the course posted to you on a USB memory stick. 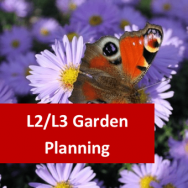 3.1 Describe the relevance of garden planning principles to the production of a garden design that 'works' - one that follows accepted 'rules' or 'conventions', and which is pleasing to the eye. 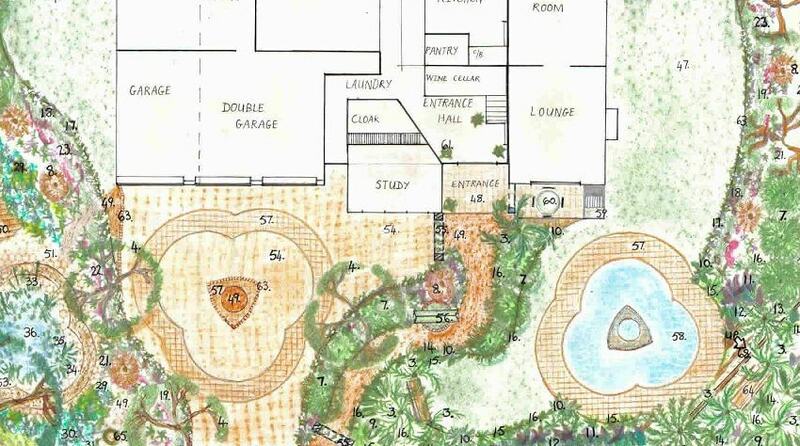 7.1 Describe how elements of hard landscaping should be selected and used to ensure that a design is cohesive. 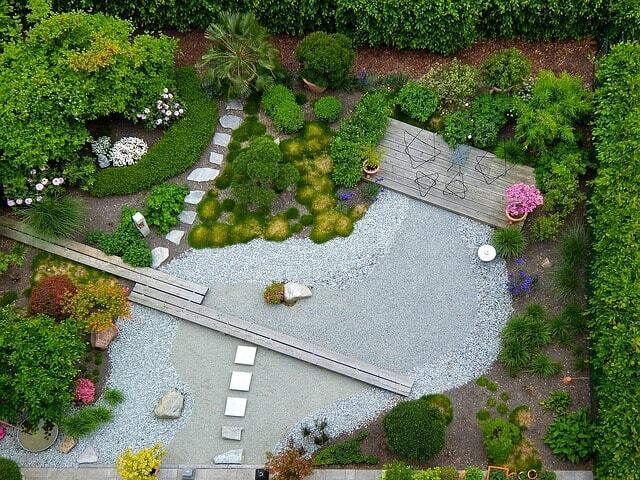 7.2 Describe how elements of soft landscaping should be selected and used to ensure that a design is cohesive. 8.1 Describe TWO hazards associated with EACH of the following: access; slope; location of features; water; electricity; materials; plants. 8.2 State how the risks related to the hazards identified in 8.1 can be minimised by careful planning during the planning and design stage. 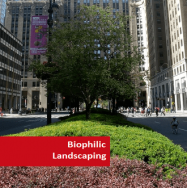 8.3 Describe how the environmental sustainability of landscaping materials may affect choices made during the planning and design stage. 8.4 State how sustainable practices in the maintenance of a garden can be integrated successfully during the planning and design stage. 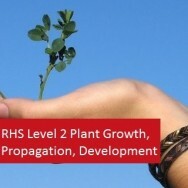 1.2 Explain the importance of F1 hybrid plants and the term ‘hybrid vigour’. 1.3 Name TEN plants suitable for growing in an annual border. 1.4 Name TEN plants suitable for summer bedding displays. 1.5 Name FIVE plants suitable for spring bedding displays, including TWO bulbs (corms or tubers). 1.6 Name TEN plants suitable for summer display in containers or hanging baskets. 1.7 Name FIVE plants suitable for winter display in containers or hanging baskets. 1.8 Describe the soil or growing media preparation, sowing or planting out of plants for seasonal display for the situations listed in 1.3 – 1.7. 2.1 Name TEN herbaceous perennial plants suitable for growing in an herbaceous border. 2.2 Name FIVE herbaceous perennials suitable for growing in shade and FIVE suitable for use as ground cover. 2.3 Name TEN bulbs or corms or tubers, of which FOUR should be suitable for growing in the border, FOUR for containers and FOUR for naturalizing. 3.1 Name TEN trees suitable for growing in a domestic garden. 3.2 Name TEN shrubs suitable for growing in a domestic garden. 3.3 Name FIVE trees grown for winter interest and FIVE grown for autumn display. 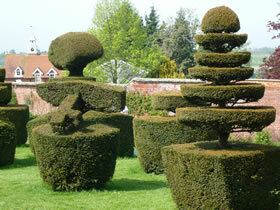 3.4 Name FIVE shrubs grown for winter interest and FIVE grown for autumn display. 3.5 Name FIVE lime-hating trees or shrubs. 3.6 Name FIVE bush roses suitable for growing in a rose bed, including cluster-flowered (floribunda) and large-flowered (hybrid tea) examples. 3.7 Name FIVE climbers and FIVE wall shrubs suitable for a variety of garden situations including shaded and north-facing. 3.8 Describe the soil preparation and planting for trees and woody shrubs. 4.1 Name FIVE alpine or rock garden plants for spring display and FIVE for summer display. 4.2 Describe soil characteristics, soil preparation and routine maintenance for the display of alpine or rock garden plants in open soil. 5.2 Describe the planting and establishment of aquatic plants in a garden pool. 6.1 State appropriate grass mixtures for the establishment of a high quality ornamental lawn and for a hard-wearing utility lawn. 6.2 State the benefits and limitations of establishing lawns from seed. 6.3 Describe the procedure for establishing a lawn from seed. 6.4 State the benefits and limitations of establishing a lawn from turf. 6.5 Describe the procedure for establishing a lawn from turf. 6.6 Describe the annual maintenance programme for quality ornamental and for hardwearing utility lawns. 6.7 Describe the range of equipment used for mowing, feeding, scarifying and aerating lawns. 1.1 State the factors to be considered when selecting a site: including soil depth, texture and structure, drainage, pH, aspect, slope, susceptibility to frost and wind, area of land available and availability of water. 1.2 Describe the reasons for providing shelter for an outdoor food production area, including the effects of wind reduction, frost potential and influences upon pollination. 1.3 State the benefits and limitations of living and nonliving windbreaks. 1.4 Name FOUR plant species suitable for a living windbreak. 1.5 Name FOUR types of non-living permeable windbreak. 2.1 Describe a range of soil cultivationtechniques suitable for the vegetable garden: including digging rotary cultivation, consolidation and tilth production. 2.2 Describe how the timing of soil cultivations will be influenced by soil texture, structure, weather and climate. 2.3 Describe what is meant by the bed system for growing vegetables. Compare this with open ground production. 2.4 Describe what is meant by a raised bed, giving a specification for a typical raised bed and paths. 2.5 Explain the no-dig system of managing raised beds. 2.6 State the methods used to advance and extend the productive season of outdoor food crops, including the use of polythene, mulches, fleece, ‘enviromesh’, low tunnels, cloches and cold frames. 2.7 Describe propagation methods used in the production of vegetable crops, including direct sowing and raising plants in seed beds, blocks and modules. 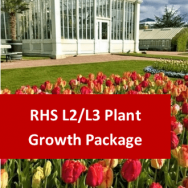 3.2 Describe how quality and yield may be determined by the following: base and top dressings, thinning, weed control, crop support, irrigation and pest and disease control. 3.5 State the benefits and limitations of crop rotation. 3.6 Describe a four-bed system of crop rotation. 3.7 Explain how successional cropping can be achieved for a NAMED crop by using sowing and planting dates, choice of cultivars and environmental protection. 3.8 Explain how intercropping can be used to maximise production. 3.9 Describe the effect of plant spacing on a named crop. 3.10 Describe what is meant by ‘cut and come again’ vegetables. 4.1 Distinguish between top and soft fruit. 4.2 List the types of top fruit (including apples, pears, plums and cherries) and factors for their selection, to include dessert and culinary cultivars; harvesting season; and storage capability. 4.3 List the major types of soft fruit (strawberries, raspberries, blackcurrants, gooseberries, blueberries and grapes) and factors to be considered when choosing suitable cultivars, to include the fruit type; choice of early, mid and late season cultivars; flavour; and freezing capability. 4.4 Describe the production of top fruit (apples and plums) and state the factors to be considered when choosing plants, including fruit type; plant quality; rootstock choice; size of tree; training style; pollination compatibility; and cultural requirements. 4.5 Describe the production of soft fruit, including raspberries, blackcurrants and strawberries. 4.6 State the advantages of purchasing certified stock. 4.7 Describe how quality and yield can be determined by the following: planting; base and top dressings; mulching; weed control; irrigation; training systems; appropriate pruning; and pest and disease control. 4.8 Describe the importance of formative and maintenance pruning for tree shape and yield. 4.9 Explain the importance of cross pollination and fertilisation in top fruit, including flowering periods, compatibility, diploid and triploid cultivars. 4.10 State four methods of ensuring effective pollination in fruit production. 4.11 Describe the harvesting and storage of the fruit crops named in 4.4 and 4.5. 4.12 State ONE common pest and ONE common disease of the fruits named in 4.4 and 4.5,describing symptoms and control measures. 1.1 Describe a range of protected structures, to include greenhouses, cold frames, polythene tunnels, cloches and conservatories. 1.2 Describe horticultural uses for each of the structures listed in 1.1, including plant propagation, crop production, and decorative display. 2.1 Describe the environmental differences between the protected environment and outdoors, including temperature; humidity; light; concentration of atmospheric gases; air movement; and irrigation requirements. 2.2 State the benefits and limitations of using protected structures for growing plants, (for example tomato, Solanum esculentum ( now lycopersicum) compared with growing the same plants outdoors. 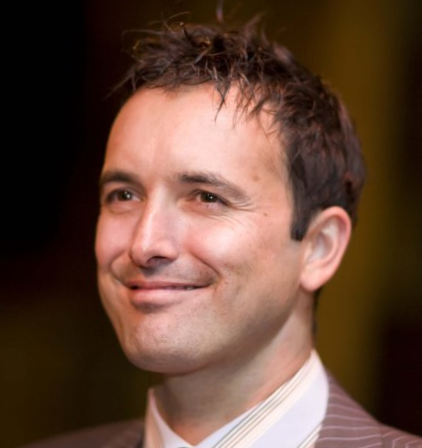 3.1 List and describe the characteristics of a range of materials used for framework construction, including steel, aluminium, wood, and plastics. State the benefits and limitations of EACH. horticultural fleece. State the benefits and limitations of EACH. 4.1 Describe the factors that affect light levels in protected structures, including shape of structure; site factors; orientation; type and condition of cladding materials. 4.2 Describe how the temperature can be maintained in structures, including heating by gas, oil or electricity; heat distribution using circulating water and air; cooling by forced or natural ventilation; evaporation; and shading. 4.3 Describe methods of changing the relative humidity (RH) in a protected environment, including the effects of ‘damping down’, ventilation and temperature changes. 4.4 Describe manual and automated methods of irrigation, including the use of watering cans, hose pipes, capillary systems and ‘drip’ systems. 4.5 Describe how light levels can be manipulated, by the use of supplementary lighting and shading, including blinds and shading paints. 4.6 Describe the importance of cultural and biological controls to limit the damage caused by plant pests and diseases. 5.1 Compare the properties and characteristics of materials used in the manufacture of plant containers, including terracotta, plastic, polystyrene, peat, paper, natural and reconstituted stone, and recycled materials. 5.2 Describe the factors that should be considered when choosing containers for the display of plants in greenhouses and interior displays, including management considerations and visual appeal. 6.1 Describe the use of protected environments for the overwintering, production and display of plants. 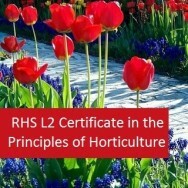 6.2 Describe the production of a range of plants which can be grown in a protected environment in a garden situation under the following headings: propagation and establishment, maintenance, control of pests, diseases and disorders. 7.1 Describe the environmental factors that must be taken into account when displaying plants inside domestic buildings. 7.2 Describe the choice of suitable containers and growing media for houseplants. 7.3 Describe the management of one fern (Adiantum raddianum), one foliage (Ficus benjamina) and three seasonal flowering plants (Euphorbia pulcherrima, Kalanchoe blossfeldiana, and Saintpaulia ionantha) under the following headings: potting, feeding, watering, deadheading, re-potting, pest and disease identification and control. Course Duration and Deadlines Course hours given are a guide only. Work at your own pace with no assignment deadlines or completion date. You are in control!